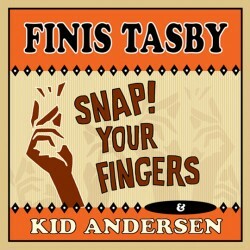 Finis Tasby is a bluesman of unimpeachable qualifications. He got his start in Dallas in the ’50s, where he backed blues legends such as Lowell Fulson and Freddie King and soul stars like Clarence Carter and Z.Z. Hill, and continued in Los Angeles in the 1970s, where he worked with Big Mama Thornton and Percy Mayfield and began making records under his own name. His career stretches into the current decade; as a pivotal figure in The Mannish Boys supergroup, Tasby has recorded and performed with an ever-changing cast of all-stars. This new release finds the great soul blues singer in the company of an entirely different set of top-flight musicians, a Bay Area contingent that includes Kedar Roy (bass) and June Core (drums); Lorenzo Farrell, Bob Welsh, and Sid Morris (keys); and Ed Early, Jack Sanford, and Terry Hanck (horns) making up the core band. Sharing space on the marquee with Tasby is Kid Andersen. 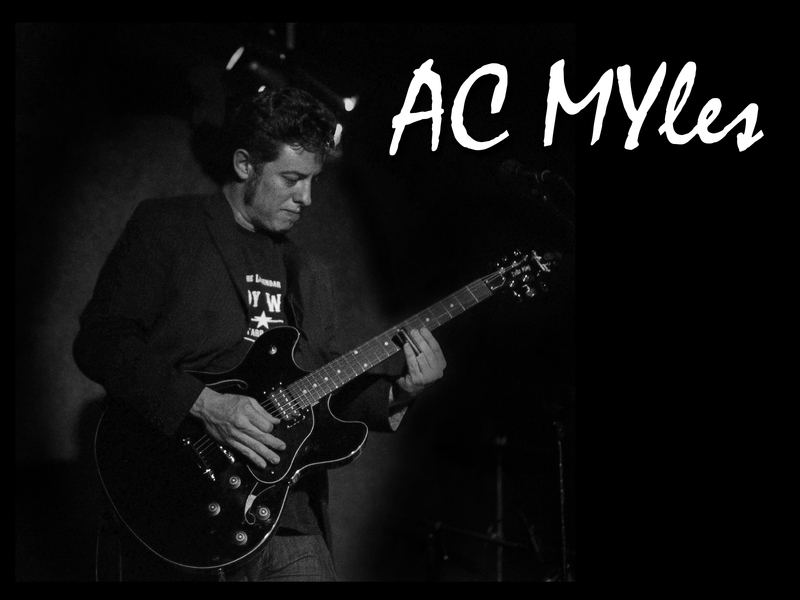 Andersen is an acclaimed multi-instrumentalist, nominated in the Guitar category in the 2013 Blues Music Awards, and known for his work as resident mad scientist/genius guitar player with Rick Estrin & The Nightcats, as well as for his solo career and many side projects. 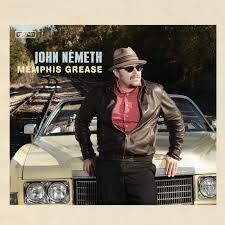 He is also a respected producer with an ever-growing list of credits, and owner of Greaseland Studios, where Snap! Your Fingers was cut in 2011. The program offers sublime soul interpretations that show originality while maintaining an authentic sound. The title track gives Joe Henderson’s original a funkier, more explicit country soul edge, replete with twangy baritone guitar, crisp fills and a snappy, chicken-picked guitar solo, strong organ, and a fine horn chart. Tasby is as wonderfully mellow and smooth as Brook Benton (no mean feat!) on a lushly arranged “Rainy Night In Georgia.” Don Covay’s hard R&B burner “People Sure Act Funny” is recast as a Ray Charles-style call-and-response number, featuring Lisa Leu Andersen as Raelette-in-chief on a duet with Tasby. Kid’s skittering guitar solo and clavinet playing are essential elements in the sound. The bouncy “Up And Down World” here, quite close to the original, is a perfect vehicle for Tasby, whose singing is often much in the style of Bobby “Blue” Bland. Other songs are grounded in straightforward blues. Another Bland classic, “Rockin’ In The Same Old Boat,” hews close to the ominous, one-chord original, but something in the guitar parts (a wah-tinged rhythm part, a fuzz-toned lead) gives the track a fly, even pimpadelic, sheen. “Ghetto Woman,” a B.B. King title in a minor key along the lines of “Thrill Is Gone,” flows with cool elegance. In Z.Z. Hill’s “Don’t Make Me Pay,” Roy’s solid bass line and Core’s brilliant drumming produce a tough bottom end, accented by Morris’s Wurlitzer electric piano, Farrell’s organ, and Andersen’s trebly, stinging guitar. An incredibly loose “Blue Shadows” (the horns sound like they’re just blowing) is held together by Bob Welch’s piano, Farrell’s organ, and a solid rhythm. Tasby’s vocal here is even more than usually charismatic (and reminiscent of Lowell Fulson’s), and guest guitarist Elvin Bishop turns in a beautiful, very conversationally phrased solo. A quiet, nuanced “Worried Life Blues,” marked by Andersen’s tightrope-walking guitar break, leads into the hard-swinging closer, “Thank You Baby,” another great number in which horns, guitar, and keys take turns at center stage. The song selection is excellent, the ensemble playing outstanding, and Tasby–masterful, gritty, and expressive–is singing at the height of his powers. Snap! Your Fingers qualifies as essential listening for blues and soul fans. Beyond hearing and enjoying the music, buying this CD is important for another reason. Half of the proceeds (yes, an incredible 50%) from the sale of this album go directly to Finis Tasby, who is recovering from a recent stroke. I purchased this CD from Bluebeat Music, where it is exclusively available. Thanks and respect to Charlie Lange for proving yet again that he is as great a friend to musicians as he is to discerning listeners.